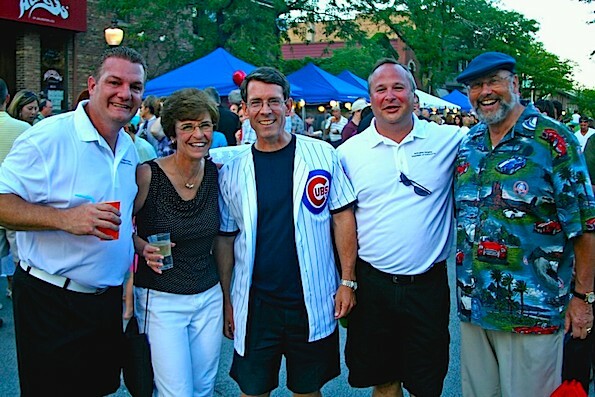 Arlene Mulder with Thomas Hayes (third from left), her husband Al (far right). After five consecutive terms, Mayor Arlene Mulder has announced her retirement — she will not be on the 2013 ballot in April, and will be missed by many. She has worked hard attending and promoting business and community events, and served as an excellent personality, communicator and leader. 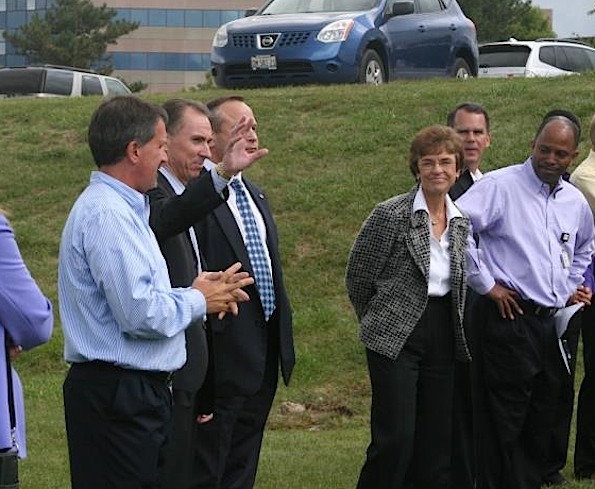 She announced her decision to the Village Board, late Tuesday, September 18, 2012. Although there are no candidates who have picked up a nominating packet to run for mayor, Village board member Thomas Hayes and other board members are possible contenders. Village Board Member Thomas Hayes would bring the most experience with his consistent service since 1991. He has been a resident of Arlington Heights since 1983. Thomas Hayes served his first term when he was elected to the village board in 1991 — the same year that Arlene Mulder came on board as a village trustee. Arlene Mulder was elected mayor in 1993 and has been a resident since 1969. She was re-elected mayor in 1997, 2001, 2005 and 2009. 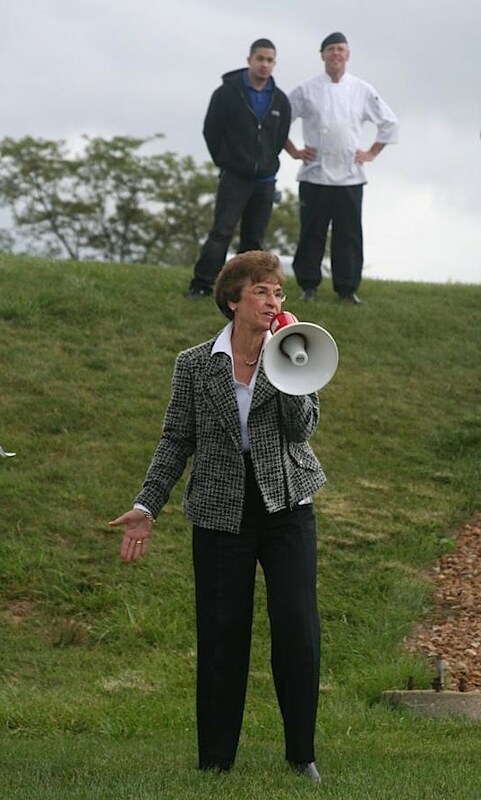 In 1997, she was elected by local government leaders in the Chicago area to serve as chair of the O’Hare Noise Compatibility Commission. She is Vice President of the Illinois Municipal League, a Trustee on the Executive Board of the U.S. Conference of Mayors and a member of the METRA Board of Directors. Mulder was also an Arlington Heights Park District commissioner (1979) before serving as a village trustee. Mulder taught at Niles West High School and became a coach for the new federal Title IX programs ending discrimination based on gender in 1971. Mayor Mulder also coached Cardinals for two years at South Middle School. Mayor Arlene Mulder at business opening ceremony at Nokia Siemens on September 22, 2011. 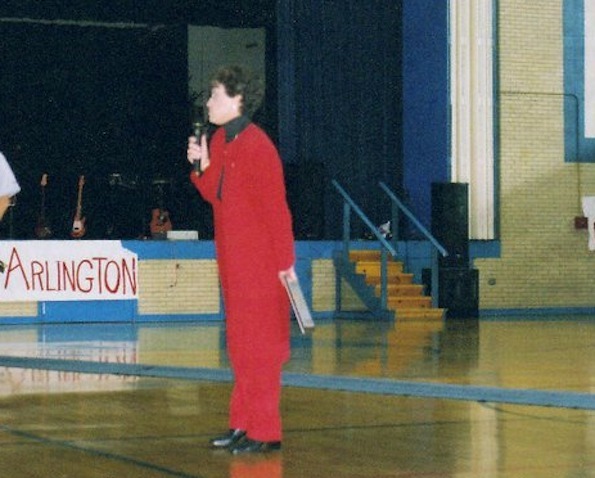 Mayor Arlene Mulder speaking to alumni at Arlington High School Homecoming in October 2004. 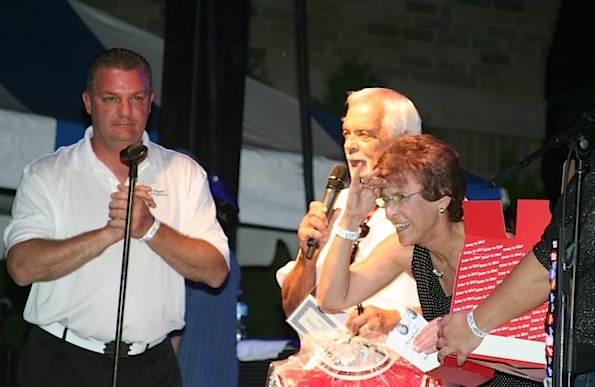 Mayor Arlene Mulder searching the crowd to deliver an award at 7th heaven concert at Taste of Arlington Heights in August 2012. 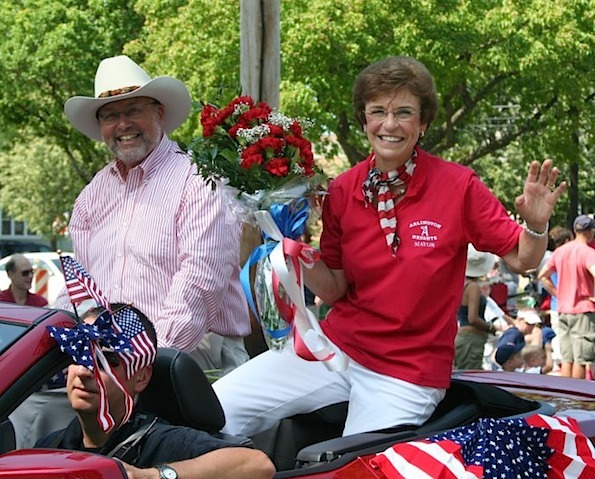 Mayor Arlene Mulder at 4th of July Parade 2012 with Al Mulder.